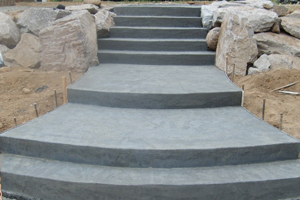 Building concrete steps isn’t an appropriate project for the beginning DIY enthusiast to take on. It take experience in mixing and pouring concrete. It also takes a fair amount of mathematical calculation (simple geometry mostly). It also requires a good deal of hard physical labour. However, if built correctly, you’ll have a staircase that is a true work of art and that will last pretty much forever under normal usage. 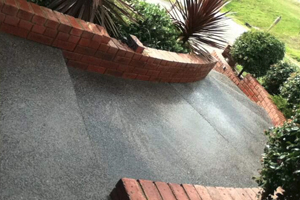 At Hume & Sons Concreting we can design, prepare, pour and finish your concrete stairway project. 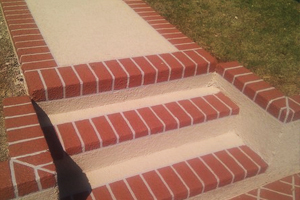 This includes calculating the size and number of concrete stairs your need depending on the elevation of where they need to go. There are many types of finishes to choose from. 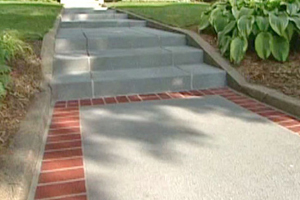 CONTACT US TODAY FOR A QUOTE ON CONCRETE STEPS!